This catalog is designed to make it easier to select and order the right valve for your application from ASCO. It provides very handy tables of part numbers, port configurations, sizes, and materials. 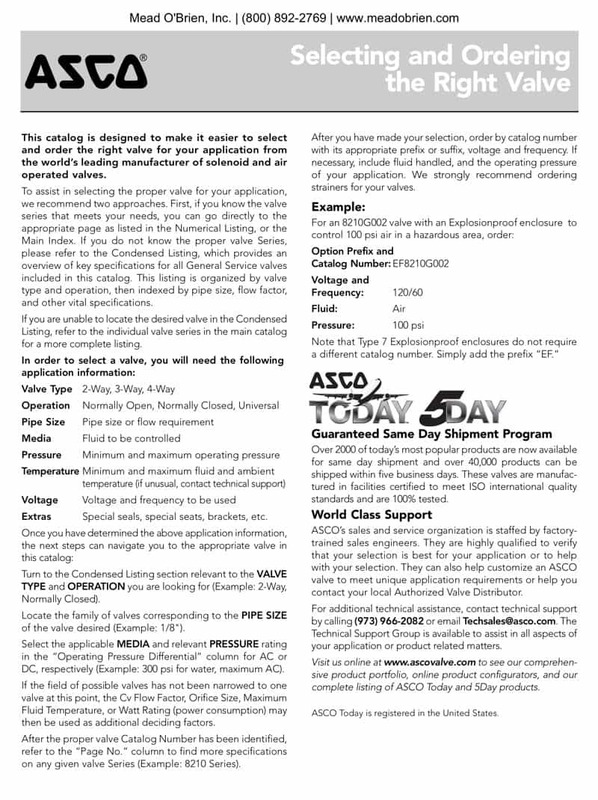 Download the PDF version here and keep on hand when specifying ASCO solenoid valves.